Each year spring is the time that kicks off many outdoor music festivals for our favorite kind of music all around Texas, Oklahoma and well beyond. But how many of these music festivals have you heard of that offer two and half days of live music for free? 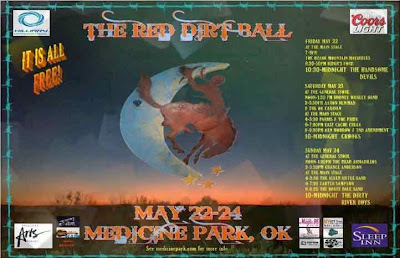 That's right live music fans; this Friday May 22nd kicks off the 7th Annual Mayor's Red Dirt Ball in Medicine Park, Oklahoma (thru Sunday night May 24th) and enjoying every last live music performance all Memorial Day weekend long won't cost you a thing! It's a great event in a very unique and beautiful family-friendly setting that you're sure to enjoy. If you have never been to Medicine Park, Oklahoma then you're in for a real treat. It's the oldest tourist destination in the state and holds a lot of laid-back charm that attracts many visitors each year. It sits just on the north side of Lawton, Oklahoma very near the Ft. Sill Army Base and the big, beautiful Wichita Mountain Wildlife Refuge. The small but scenic historic town offers a very unique staycation or daycation experience for those within the region with a cozy downtown district boasting a cobblestone walkway chock full of shopping and casual dining options. There is also a motel and several reasonably priced cobblestone rental cabins available, and even a few bed and breakfast choices for those venturing in from farther away. The Bath Lake swimming hole is right in Medicine Creek basically in the heart of the downtown district, and very close to one of the two live music stages. The Oklahoma Department of Wildlife launched a very successful trout fishing program there in recent years and Lake Lawtonka is also just north of town a mile or two. But most of the action this weekend is sure to be downtown on the two live music stages! Every year Southwest Oklahoma music fans wait all spring to find out who will be the Saturday and Sunday night RDB headlining acts, and 2015 once again doesn't disappoint! Filling this year's spots are Austin, Texas vintage country outfit Crooks taking the main stage on Saturday night (10pm to midnight) and the The Dirty River Boys from El Paso, Texas wrap up the event on Sunday night with a bang (10pm to midnight). I don't know as much about Crooks but I can tell you that The Dirty River Boys unquestionable originality could only surpassed by their well-deserved reputation for very memorable, high energy live performances. Amazing article! 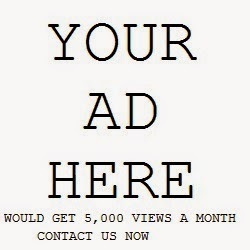 I need individuals to know exactly how great this data is in your article. It's fascinating, convincing substance. thesis writing service Your perspectives are much like my own particular concerning this subject. It seems to me that there is nothing better than live music. At the festival you immerse yourself in the atmosphere of coziness and harmony with yourself and just enjoy life. I have heard some of the gossips and rumors about that red fort matters but did not know the details until I went through army bases in Texas.